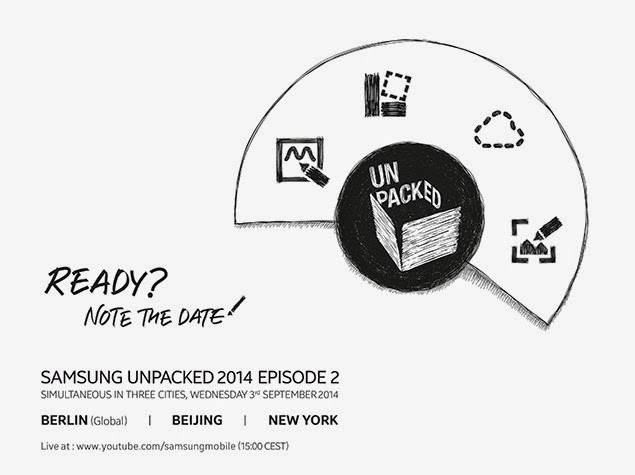 Looks like Samsung is gearing up for its next phablet release. Showing off the well known Air Command popup, we believe its safe to assume that Samsung will be unveiling the next Galaxy Note. Its expected that the Note 4 will push the envelope like previous iterations have done. We wouldn't be surprised to see Samsung's Octa Core Exynos or a Snapdragon 805 or both via different variants. We suspect 3GB of RAM, 1440p display and 5.7+inch display will be included in the specs. Overall we look forward to see the next Galaxy Note.